Settling conveyors restore your products from a chaotic jumble into a neat and ordered flow. 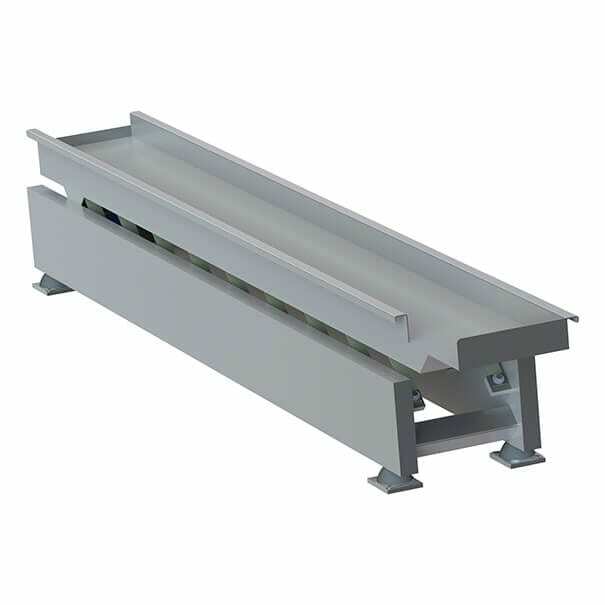 For more information about our settling conveyors, or to request a quote Call us now on +44 (0)1384 895 121. On almost every food production line, there are certain processes that can leave your products cluttered or disordered. Settling conveyors are there to restore a bit of order. They will prevent both blockages and starvation across your line, and greatly improve the efficiency of your downstream equipment. They can also be used to make sure produce is evenly distributed into containers. Some of the success stories have ranged from settled bags of frozen product to settling 12″ savloy sausages to allow the boxes to pass under the taping machines. Everything we do is designed to ensure ultimate stream lining of the whole production line. Like all of our innovations, through doing one job extremely well, settling conveyors will streamline your entire production line, enabling you to reduce your downtime while boosting your yields. Our expert engineers can design a bespoke solution to suit any situation. Just tell us what we need and we’ll show you what we can do. For more information about our settling conveyors, or to request a quote for your business, call us now on +44 (0)1384 895 121.